So I follow the instruction my rice cooker and then allow the rice too cool for a few hours since I made the rice the night before it was already cooled. 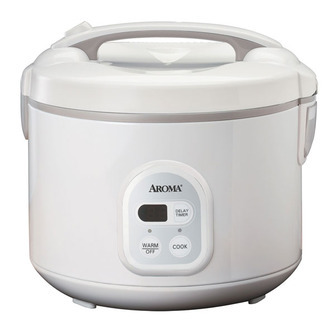 (that is why if you freeze the rice after cooking all your have to do is grab rice/veggie/sauce drop in crockpot and turn on..and then the best part EAT…. I love Veggie fried rice at the restaurants for around $6.99 however I really love veggie and never get enough in a meal ..My solution is I have lots of veggie around in the crisper drawer at home this my go to meal crockpot fried rice…I really love this due to the fact that you can change it up add more etc plus you know what your getting when you make it. 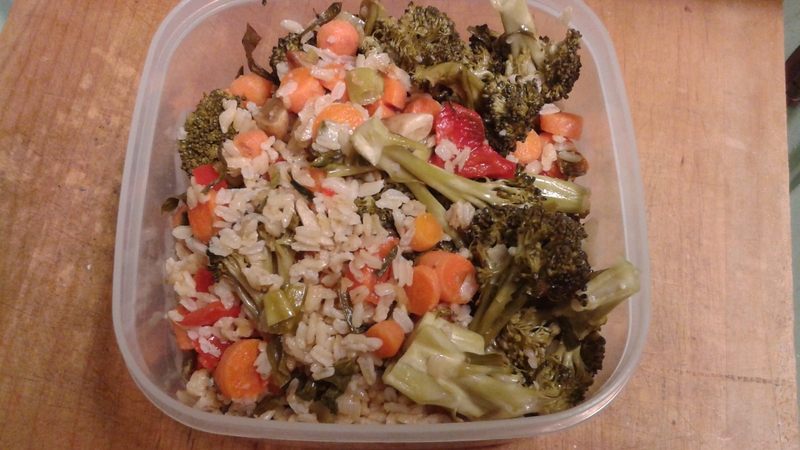 This batch had Jazzy brown rice-carrots-green onions-broccoli-red bell peppers-teriyaki sauce.. The only expense for this meal was getting the rice as we were out.. so $1 for a bag of rice which will yield me 3 batches of rice= about 8-9 meals…:O) depending on how much veggie and Grilled chicken I add to each batch so very cost effective meal..Plus you use up leftover veggie or leftover meats that you only have just a little of not enough for meal by it’s self.